Hooligan 170i - $2,999 - ON SALE!! NOW WITH AN AUTOMATIC TRANSMISSION!!!! Up to 80 M.P.G !! 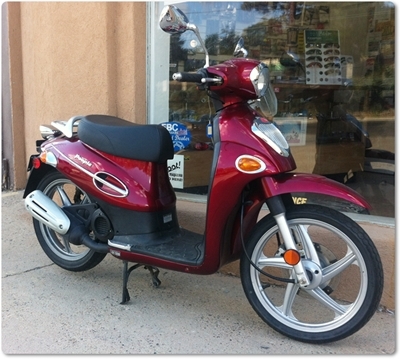 Priced at just $2,099 the K-Pipe 125 is a remarkably economical and fuel efficient bike featuring a confidence-building seat height that puts feet flat on the ground. 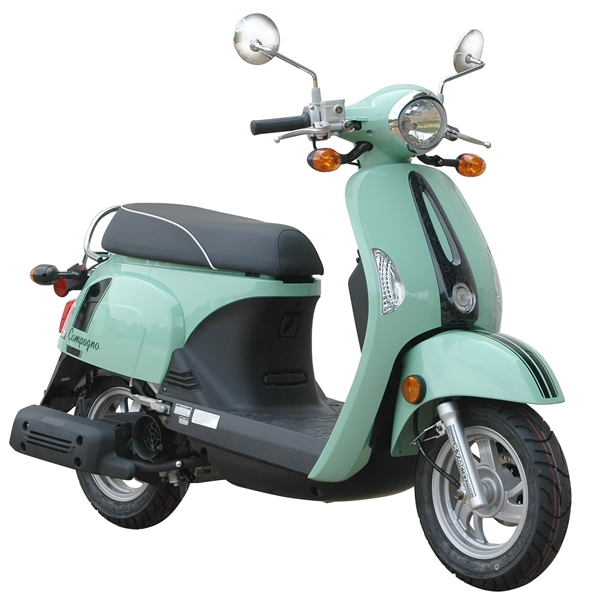 Designed for low maintenance, it uses a 125cc, air-cooled, SOHC engine coupled to a four-speed transmission that provides the kind of control expected of a larger displacement bike. An electric starter with a kick start backup completes a package that makes the K-Pipe 125 the perfect choice for either the entry level rider or the economy-minded veteran. 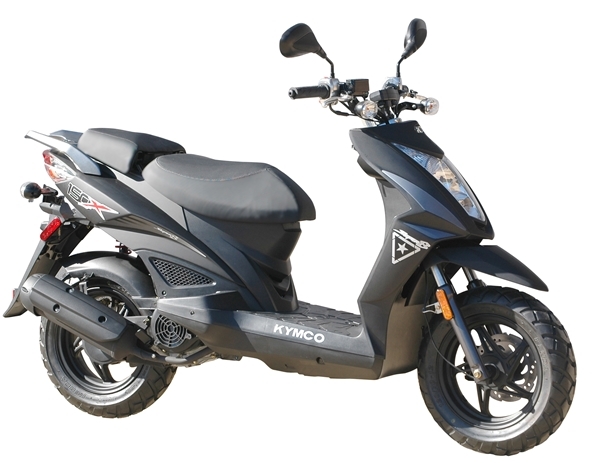 With a nod to the nostalgic, KYMCO USA introduces the Like 200i, the perfect combination of vintage design and modern technology. 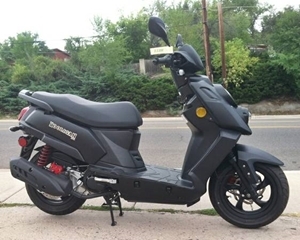 The Like 200i is a fast, agile, economic and reliable mid-range scooter designed to honor the breed’s history while at the same time adapting it to a 21st century lifestyle. 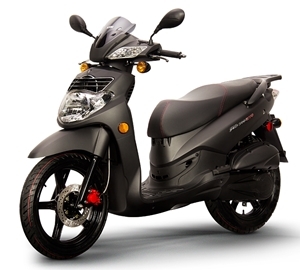 Power comes from a 163cc, 4-stroke, fuel-injected engine married to a smooth-shifting CVT automatic transmission. 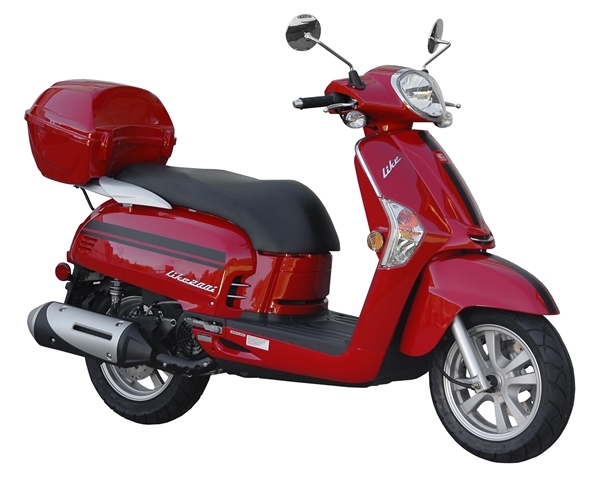 Available in Red, Matte Black and Blue with a color-matched top box, the Like 200i easily is transformed when you choose from a wealth of available accessories. The Super 8 150X is a “naked sport bike” built for the urban inner-city. It is a performance-oriented alternative to the Super 8 150R with power from a 151cc, 10.3 horsepower air-cooled 4-stroke engine. Amenities include a hi-rise mounted dirt bike-style front fender, naked sport bike handlebars and dual purpose knobby tires. 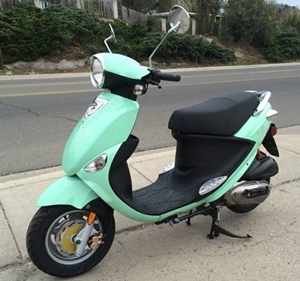 It comes with a locking under seat storage bin, helmet hook and 2-up buddy seat that doubles as a rider backrest. Make it yours by choosing either the matte black paint with matching black wheels or yellow with matte black wheels. 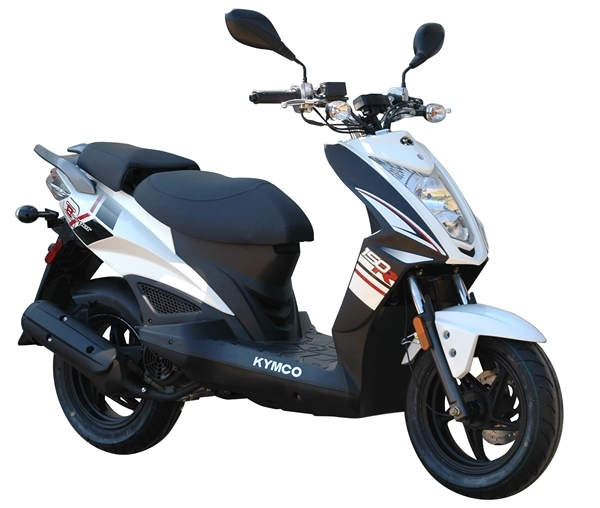 Take a ride on a KYMCO Compagno 110i and it’s hard not to feel like you’re breezing through the French countryside. Euro-Retro styling mated to modern technology are among the sources of this bike’s popularity. Comfortable space between the seat and handle bars, convenient glove box and helmet hook, a low 29-inch seat height for flat-footed stops. Foldaway passenger foot rests and under seat storage make the Compagno 110i truly unique. 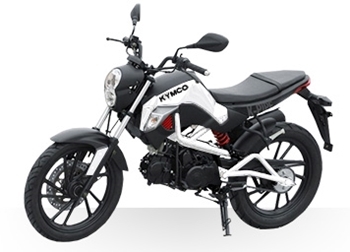 Power comes from a 112cc, 4-stroke, electronically fuel-injected engine mated to KYMCO’s popular CVT automatic transmission, a combination that provides improved fuel mileage and decreased emissions. We had not stocked the Compagno before becaue we were unsure if the 110 engine would be enough, but after riding it, it is as quick as the Buddy 125 and nearly the Super 8 150s! 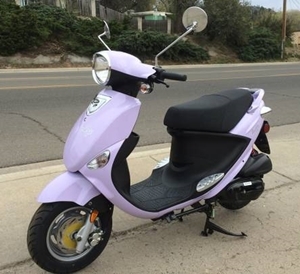 This is a great scooter if you need more power than the standard 150cc scooter. In great overall condition. Fairly new tire, new battery, fresh service. Brand new tires ($250 value, including labor)!